Thomas G. Peters, MD, FACS, FASN, Professor of Surgery, Emeritus, at the Univ. of Florida College of Medicine. He directed the University's kidney transplant programs in Jacksonville & Gainesville for more than two decades. Dr. Peters is the “father” of the effort to increase organ donation with Financial Incentives (FI). He published the first relevant U.S. papers on Fi (JAMA, 265: 1302-1305, March 13, 1991) Life or Death: The Issue of Payment in Cadaveric Organ Donation and Organ Donors and Nondonors, An American Dilemma. Jonathan Fisher, MD, is an expert in liver, kidney, and pancreas transplantation surgery. In addition, he provides expert surgical treatment for both cancers and benign diseases of the pancreas, liver, gallbladder, bile duct, and spleen, as well as complex abdominal problems. 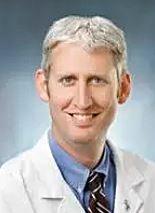 Dr. Jonathan Fisher is a surgeon in La Jolla, California and is affiliated with multiple hospitals in the area, including Naval Medical Center San Diego and Scripps Green Hospital. He received his medical degree from Columbia University College of Physicians & Surgeons and has been in practice for more than 20 years. Bill Remak, B.Sc.MT, BA PHA; FAIR Foundation Secretary;Chairman, California Hepatitis C Task Force; Steering & Communications Committee Member, California Chronic Care Coalition; Chair, National Association of Hepatitis Task Forces; Patient Advocate: Liver Disease & Stem Cell Research. Petaluma, CA. Jack Burke, Accountant, owner of Burke Management Accounting Services and patient advocate for patients with liver disease. Jack has moderated the FAIR Foundation's Liver Disease and Transplant Support Group for the past 12 years. The Group gives patients and caregivers the opportunity to get questions about their disease answered in an intimate, relaxed setting, provides emotional support, hope and whenever appropriate, referral for transplant. Cathy Teal has 30 years of experience in advertising & marketing communications. In 1986, Cathy founded her creative services firm. As an entrepreneur serving private & public sectors, Cathy always found time to help non-profit organizations. In appreciation of her work with NPOs, the National Association of Women Business Owners awarded her a Special Recognition Award. Teal graduated with a Bachelor of Fine Arts in graphics and mass communications from Middle Tennessee State University.